Now more than a newsletter, "The Essene Path" is the quarterly journal of Essene Church of Christ. Unlike a simple newsletter, each issue of "The Essene Path" includes several full length articles by the leading scholars and teachers of the modern Essene movement. Like a newsletter, "The Essene Path" does provide a page for announcements of upcoming Essene activities, but the rest of each issue is devoted to full length articles on various Essene topics. Please note: You have an option of simply subscribing to "The Essene Path" for $25.00 per year, or also joining "Friends of Essene Church of Christ." The membership dues for "Friends of Essene Church of Christ" are $50/year and includes a subscription to "The Essene Path." 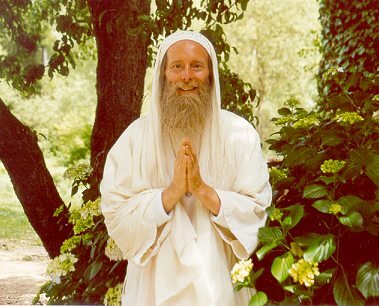 The extra money you pay by joining our "Friends" group is used to help spread the Essene teachings all over the planet. "Friends of Essene Church of Christ" is the network of people who support our work. If you want to help and can afford the $25 yearly dues, please join our circle of "friends." ____ Yes, I wish to receive "The Essene Path" and join "Friends of Essene Church of Christ." Enclosed is my check for $50.00 dues for one year, which includes the subscription. ____Yes, I simply wish to subscribe to "The Essene Path", not join "Friends of Essene Church of Christ." Enclosed is my check for $25.00 for a one year subscription. ____Yes, although it is not at all required, I wish to support your work by pledging a monthly, quarterly, or yearly donation of $_____. CAN YOU HELP? Donations made out to "Essene Church of Christ" are tax deductible.